Columbia 36372. 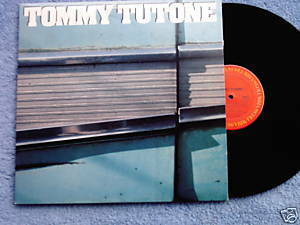 Tommy Tutone. 1980 LP includes Angel Say No, Cheap Date, The Blame, Fat Chance, Rachel. First album; band members on this recording are Tommy Heath, Jim Keller, Terry Nails (Ozzy Osbourne, Steve Jones), Micky Shine (Elvis Costello). San Francisco band. Produced by Ed E Thacker. Photos by Nick Saxton and Bob Seidermann. Vinyl is VG; cover with photos is VG with minor corner wear.